I’ve had a lot of requests recently to review this whisky. It’s an old problem with the whisky market. You wander into a store like Costco, notice they sell whisky (depending on your state) and your eye settles on this beauty. Nice label, respectable age statement… but what is it? 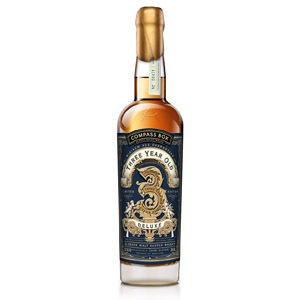 An 18 year-old single-malt for $33… is that a joke? Are there cameras hidden behind the metal warehouse racks? It can’t be good for $33. How is a casual consumer to know? There’s no answer to this question – unless you happen to have a smartphone (and can get signal inside that concrete box), and can find a reputable online review to read, you’re on your own. So if you’re standing in a Costco right now on your smartphone and you’re willing to believe that I’m a reputable reviewer, you’re in luck! The answer to your question is: Yes! 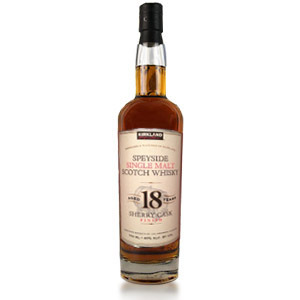 The 18 year-old Speyside Sherry Cask Finish bottle from Kirkland is very much worth your $33. It may or may not be from The Macallan (note that it’s finished in sherry casks after mostly aging in ex-bourbon barrels, not totally aged in ex-sherry like Macallan 18), it may not be around for more than a few months, but it is definitely a quality dram for very little money. Here’s my advice: Buy a bottle, take it home and crack it open and taste it. Then go back to the store and buy two more. This is bottled by Independent Bottler Alexander Murray & Co., which has previously performed the same service for other Kirkland-brand scotch, such as the defunct 20-year Speyside Sherry Cask Finish. After tasting both, I venture to say that despite the $10 cheaper price, the 18 may actually be slightly better than the 20, although they are VERY similar, and almost certainly hail from the same distillery. My only gripe is that the bottle is a weak 40% ABV, but that’s a pale complaint considering the value here. 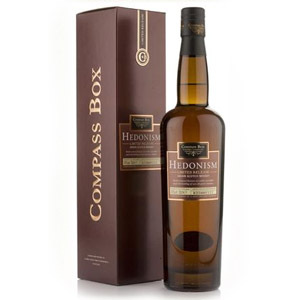 Nose: Clear sherry nose – fresh fig, black cherry, nice levels of butterscotch and particularly well balanced. It doesn’t have that armchair leather and concentrated woody aroma of Macallan 18, but it smells like what it is – 18 year-old ex-bourbon finished in sherry. The level of sweetness is just right. Palate: Moderate weight, maybe slightly on the thin side. Aroma notes continue to the palate – cherry lozenge, prune, caramel or butterscotch. A nice maltiness emerges after a few seconds, a reminder of barley grains. Finish: A nice woody twist, echoes of the black fruits with some final wisps of mint and slightly acrid smoke, like an extinguished cigar. Mild bitterness. With Water: A few drops of water makes the nose very brambly – blackberry leaves and nettle. Increased burn on the palate, and amped-up smoke on the finish. I’d skip the water here. Overall: This actually bears more resemblance to Glenfiddich 15 than Macallan 18. There’s none of that deep, dank, resinous fruit or mouth-coating sticky toffee. Instead, there’s a delicate balance of nice fresh black berries with the standard hallmarks of ex-bourbon aging (namely the butterscotch/caramel note that I can never pin down). 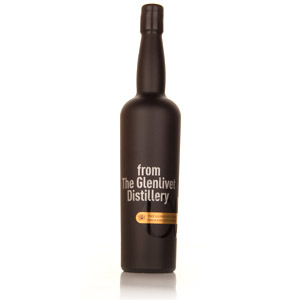 It’s a well-constructed malt with no obvious flaws (except for a lack of weight on the palate). In a blind test, I would say this was a $60 malt. That makes this one hell of a deal, especially if sherry finishes are your thing. $33? I’ll take two. Note: The “Must Have” rating refers to my recommendation that if you have a Costco that sells liquor and they stock this product, you won’t be sorry for dropping $33 on a bottle or two. It’s certainly worth the price. That said, it’s not so spectacular that it’s worth driving across state lines or conning friends into mailing you a bottle… that effort would invalidate the point: This is good whisky for a GREAT price. Acquired: (750ml bottle) Costco, San Jose, CA, $33. Anyone know if this bottle is available at Costco in Florida? Oh, I wish I didn’t live in North Carolina. Freaking ABC is the only place you can buy liquor. That, or the PX, but they only sell the stuff they know will sell. Noob, very nice analysis of this bottle! I’m glad you had the 20yo as well, I’ve only had the 18yo and was wondering about the other. They used high quality sherry casks for the finishing, everything is in balance, the sweetness is in check. The palate is supple, but the finish is slightly weak – no doubt due to the low ABV, as you noted. I found the underlying spirit somewhat neutral, the sherry does most of the work here, but in a good way. If I were to venture a guess my money goes on Tomatin, it’s quite similar in profile to the Tomatin 12yo I had recently. (No Macallan, for the reasons you mention, but also no Glenfiddich, since that malt has a pretty strong signature; plus they tend to sell it themselves, not via 3rd party.) As for the price, I’d speculate that this is the same whisky as the 20yo but with lowered price (and changed label) since the 20yo didn’t sell. Wouldn’t that be wicked of them? Thanks for the review! Heading to Las Vegas this weekend for my bachelor party and this will be our first toast. Much appreciated! This definitely doesn’t have the qualities of a 18yr scotch. You are better off with a reputable 10-12yr in the same price range (paid $32.99 in California). Old Pulteney 12, Tomatin 12 or Macallan Fine Oak 10, to name a few. This is not swill by any means, but do not expect 18yr old goodness. The wood is dry and astringent – more woody than vanilla, some toffee/butterscotch, but very uni-dimensional and dull. Strong alcohol fumes hit the nose. Astringent on the arrival which stays in the finish, with vodka-like burn. We cleansed with JW Black and everyone agreed the JWB was smoother than the Kirkland 18. This is growing on me. The bottle is 2/3 empty, the astringency has greatly diminished and I get more prominent almond/nuttiness. Compared side-by-side with Macallan 10 Fine Oak ($33.99 at BevMo) – the Macallan has more engaging and fresh nose, with prominent milkiness and cereal. The Kirkland 18 has more sherry and wood, somewhat more dull. Reminds me of Aberlour 10, from what I remember. Both are of comparable quality and a matter of personal taste. The price for the Kirkland 18 is spot on. I picked up a bottle of the Kirkland Speyside 18 at the Costco store in Kahului, Maui last week for $33. It is very tasty. A week earlier at the same store I passed on the Kirkland 20 sherry finish at $44. When I returned the 20 was gone and the 18 in its place. On my way home to Idaho next week I will stop at Costco in Spokane, WA to see if they have this product, and at what price. Washington has the highest liquor taxes and fees in the country. Idaho has a state monopoly on liquor, so Costco does not sell liquor there. Unfortunately, Kirkland brand scotch can only be purchased at Costco – Kirkland is Costco’s store brand. Tim, I’m also a faithful Costco shopper here in River City (home of the soon-to-be-World-Champion Jaguars, as soon as we get a good QB along with a bunch of other quality players….but that’s another story). Liquor guy said they typically receive this twice a year. And it’s gone quickly. My adult son gave me a bottle for Christmas. He’s a good lad! BTW, don’t you enjoy the great BS descriptive phrases reviewers use? Some are really creative……good wordsmiths. I’m not a scotch drinker, but I had a sip of both the 18 and 20 year old scotches at a party in IL. I thought the 20 was a little smoother and more mellow than the 18. Have you seen the new Kirkland Highland Sherry Cask Finished – 18 year? I just saw it at Costco yesterday and snapped up a bottle! I haven’t opened it yet, but I’d be curious to hear your thoughts. I’m a huge fan of their 20 and 18 year Speyside’s, and was excited to see a Highland Scotch make it’s way over! I haven’t seen it yet, no. I’ll keep an eye out – what’s the price like? $35.00 dollars at Delaware Costco. Picked up two figured couldn’t miss. I want to say it was $37.99 here in Phoenix, AZ. Basically I saw 18 y/o highland for $38 and stopped thinking clearly after that. Based on my experience with the 20 and 18 year Speysides, I couldn’t help myself. I’ll report back after I crack open the bottle – I have the remains of Black Bottle and Balvenie 12 yr to wrap up before I can justify opening more. Does anybody know when the next release of ANY Kirkland-branded single malt will be? It’s all gone at my local Costco in Massachusetts. Kirkland 18 y/o Highland(no “Speyside” on label) finished in Sherry Cask has been recently distributed. Not sure if all states, regions, and stores will get it. I’ve had the 18 y/o Highland (no “Speyside”) – and happened to have a 18 year Kirkland Speyside still around to compare to. Between the two, the Highland has just a little more flavor, though it could just have been ‘fresher’. I’ll be stocking up on it, it’s not as good as the Oban 14 year I have around, but it’s better than Glenlivet 12 or 15 in my opinion (I don’t venture too much over $50 too often so that’s what I have to compare it to). 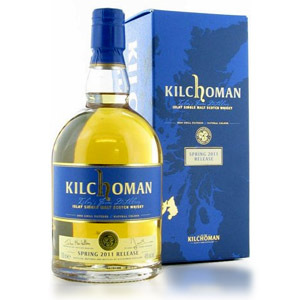 Has anyone seen this yet at a SF Bay Area Costco – I was in there today in Sunnyvale – TON of top tier different scotches – but only Kirkland is their 12 year “Blended”. Oh YES, they DID HAVE the Kirkland Signature Speyside 40 year “on-sale” $700 for $600 … a bit too rich for my blood. Picked up three bottles today in Calgary on the recommendation of Costco employees. Even at $53.00 it’s well worth it. There are not many 18 year old scotches within that price range. Even the JW Platinum, which is 18 years sells at Willows Park for about 160 or 180. Does anyone have a Costco item # ? According to my local costco near the silicon valley of california state, this is out of stock and is no longer being stocked at any of the nearby costcos! so sad.. would’ve picked up another few bottles of this had I known. i live in San DFiego and i had picked upa bottle of the 20yr speyside and just picked up a bottle of 18yr peyside at the costco in tijuana, mx. I just tasted both side by side and have to say the 18yr is smoother with less alcohol on the nose ; as well as i find it to havea richer mouthfeel; less spicy ; i find the sherry inparted sweetnes to be more easily accesible. Now this is available, but the price has increased to $58, or almost double. I was skeptical as first but it’s a respectable dram. For the the money I would’ve gone for a 16 yr Aberlour, but compared to other 18 yr drams out there (I’m looking at you Grangestone) this 18 yr is quite a step up. In WA state, with all of the taxes this is now $68.00. Only a few dollars more than a Glenfiddich 15. Is it still worth it? I would probably choose Glenfiddich 15 over this. The novelty of paying $33 for an 18 year-old sherried scotch was the main draw for me. Paying $68… not so much. 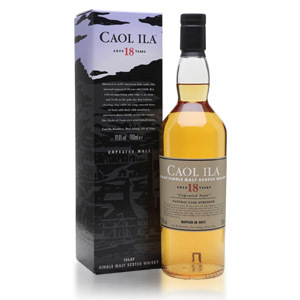 Hi Scotch Noob – Just got something very similar to this in Los Angeles, California for $55.00. It is basically the same, but they have appeared to have fixed your only gripe…it is bottled at a more respectable 46% ABV. I am a bit of a tyro but I do enjoy it and have purchased a back-up bottle before it disappears. I would think given the cost of good scotch these days, this is worth it. What do you think? Have you had the opportunity to try this? This cost me around $85 plus tax at a Costco in Alabama last week, but it is now bottled at 46%. That’s cheaper than just about any other 18yo single malt I can think of given current prices (even cheaper than Glenlivet 18 in my area). However, while it is pretty good, I’m not sure if I’d buy another bottle at the current price. I can think of several 14-16yo single malts that I like better for less money. Just paid $84 all in at Costco here in Edmonton, AB. Anything here that is 18 yrs old for that kind of cash is bought fast. I just saw Lagavulin 18yr for $99, now that has jumped.